This is an interesting question we all struggle with. We really need to sit back and examine why we are in business. Our job is to make learning resources available to students. How can students excel in reading when they don’t have access to the resources we have available? How can students excel in their learning area when they don’t have access to check out the resources of the LMC? All too often library media specialists are seen as the book police or library nazis. Is that encouraging a love of reading – a love for coming to the library where they will engage in lifelong learning? The students I deal with are more worried about getting to school when they are flip-flopped from household to household not knowing if it’s dad’s week or mom’s week – let alone which house the library book is in. I constantly ask myself (and ask that my library paraprofessionals do too) the question. 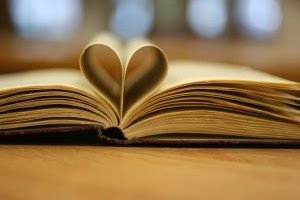 . . is what I’m doing creating a love of reading – a love for coming to the library. If it isn’t then I think you need to reexamine your priorities and concentrate on making them LOVE library time, reading, and coming to the library! OK. . . now I’ll get off of my soapbox. . . students need open access to reading materials and the library. We need to not get so hung up on missing a library book or two. Most materials, in my experience, end up back at the library – eventually. My feeling is that students should always be allowed to check out materials. We keep a box of reading materials that are not catalogued (I get them at rummage sales, book exchanges, and from book fairs) Students may always take a book from this box – even if they have several lost and not paid for books. Word has gotten around and we have parents bringing in books for our bin all of the time. We also allow students to “do” community service to “work off” their book fines. This has also worked well for the students who truly cannot afford to pay for a lost/damaged book. We have also allowed them to bring in a book of similar price, to “trade” for the lost/missing material. We are EXTREMELY flexible with students and materials. This hasn’t resulted in more lost than we have seen before – and those students have access to good reading material. So do we allow checkouts to people who have overdues/lost/missing materials – YES. . . and I hope we never change! I don’t want the students dreading coming to the library because they’re going to get grilled about where their library book is. I want them to love reading/storytime/coming to the library. Isn’t this our goal?